6'6" x 2'0" 6'6" x 2'3" 6'6" x 2'6" 6'6" x 2'9"
Standard 2 Paneled arch topped Painted Grained Door. Made from a solid pine framework, with a white pressed 2 panel grained finish. 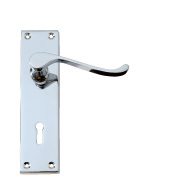 This is a great price on our most popular door range. Our arched top grained moulded doors feature an attractive 2 panel archtop design with grain effect faces. Each door is supplied primed, ready to paint. 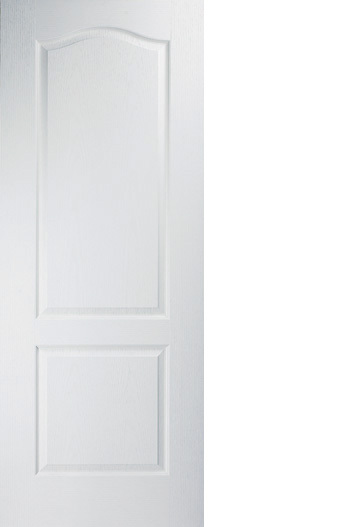 This 2 panel archtop grain effect moulded door combines stylish design with excellent value for money. Mixed material construction using one piece grain effect facings, timber and man-made materials. Moulded panel doors are more durable and resist warping, twisting and splitting better than traditional solid wood doors. Supplied primed ready to paint. These doors are not suitable for treatment with any type of oil, varnish, wax or polish. 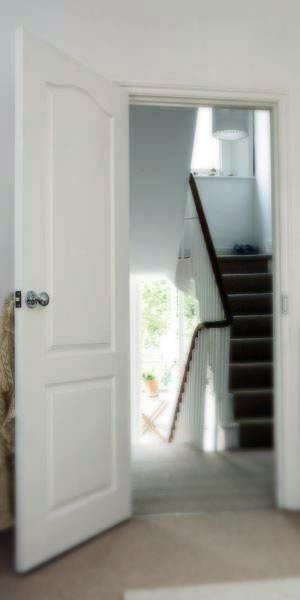 Glazed and Fire Door versions of this door are also available. 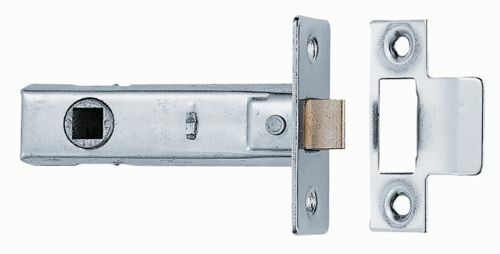 The door may be trimmed by up to 10mm in height and 10mm in width. Any reductions must be removed equally from each edge.